The exhibit is free and open from Oct. 1st to Oct. 31st, at Arcadia Wildlife Sanctuary, 127 Combs Rd., Easthampton. Contact # 413-584-3009. 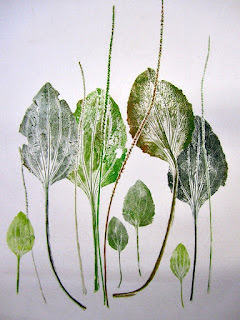 For the joy of leaving impressions on the human mind, the artist inks plant and animal parts, and direct-imprints these with hand or foot pressure onto paper and cloth. For twenty five years she has documented, and interpreted the vitality of life forms, as her tribute to their existence in the web of life. Adult and Teen Nature Printing on Sun., Nov. 6th from 1:30 to 4:30 at Arcadia Wildlife Sanctuary, 127 Combs Rd., Easthampton.